This is our top of the range arid South Africa tour. A lot of time and resources have been put into producing one of the finest and rewarding tours we have on offer. It is a long tour that covers huge distances taking you to just about every Important Birding Area (IBA) in the arid region. We will be stopping at Vrolijkheid and Dassieshoek nature reserves along the way. We will take a game drive on arrival and another the next morning. This is a relatively new national park and is rated a n IBA 1. The park has two main features namely the Valley of Desolation and the lake. This reserve is a hidden gem and one of my favourites. It also hosts lions, cheetah, TB free buffalo and black rhino. It has great drives up in the mountain and 4x4 routes. This reserve is just 30 km west of Bloemfontein and offers both Karoo and Kalahari birds and in summer up to 270 species can be encountered. This is the newest national park and it was established to replace Vaalbos which was taken over for economic reasons. This is now a rare species of ungulate breeding centre which hosts a healthy amount of birds. We will have to keep a sharp eye along this route as quite a few unique species of larks are to be found here as well as Pygmy Falcons which share homes with Sociable Weavers in their massive nests. Today we enter the second largest national park in South Africa. It is famous for its vast array of raptors and black maned lions. Our first stop is the headquarters of the park. We will leave the Auob riverbed and cross the red dunes to get to Nossob rest camp on the Nossob river. This is truly stunning country. This can be quite a gruelling drive but very rewarding. Here you will not only see birds but big game as well. We will take a second look along this road which often provides some wonderful surprises. This is dune country and we will often see the cavernous Sociable Weaver nests in the few trees and on poles along the way. We will check out the incredible falls at the national park before pushing on to Pofadder and the Koa Dunes which is a highly rated IBA (important bird area. 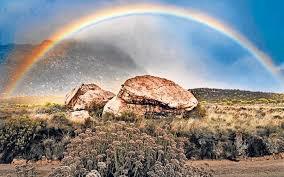 Springbok has the Goegap Nature Reserve and along the way south we will also stop at the Gamoep and Namaqua Mountains. Gifberg is a rewarding retreat in the mountains where quite a few interesting species can be seen. This nature reserve was a farm where the farmer stopped the river from flowing into the sea and created two large pans behind the dunes. The birdlife there after good winter rains is prolific to say the least. Time providing we will take a look at some of the best birding spots around Cape Town of which there are quite a few.